Sights such as Melbourne Central are what holidays are for. A trip here is one that you surely won't regret. It sits in Melbourne, the state capital. You'll find plenty of things to do in this terrific city. The hotel you choose to stay at can mean the difference between a regular trip and an excellent one. 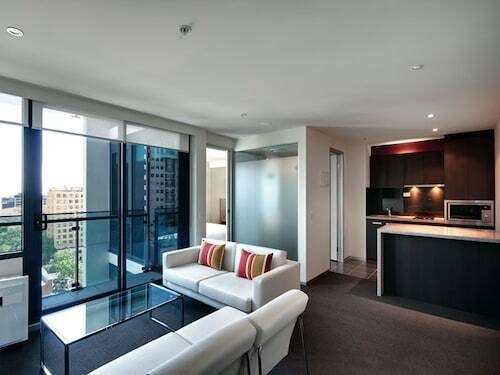 With 108 with minutes of Melbourne Central, finding your ideal accommodation won't be a drama. Why not check out the Grand Hyatt Melbourne, The Westin Melbourne and InterContinental Melbourne The Rialto? Save your dollars by opting for budget accommodation in the vicinity. Secure a room at the Nomads Melbourne or the Urban Central Accommodation - Hostel, 0.5 kilometres and 2 kilometres away, respectively. Also, there's a range of upscale accommodations in the immediate area. 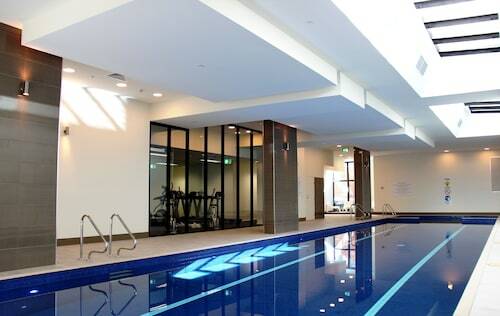 The Crown Towers and the Park Hyatt Melbourne, a kilometre and a kilometre away, come recommended. Prior to exploring Melbourne Central, follow the allure of hot coffee to Oriental Teahouse Melbourne. When you're really hungry, you won't have to go far. Head straight to Flower Drum Restaurant Melbourne for a well-deserved dinner. As your day winds down and you're ready for a glass of wine, pull up a bar stool at Nomads Melbourne. Lose yourself in the fictional world at State Library of Victoria. Crowds of shoppers go to QV Centre to join the fun. For a number of years now, RMIT University has been nurturing many great leaders. Give this historic campus a visit and discover what it's like today. Fashion aficionados will love the buzz of a new purchase at Emporium Melbourne. Check out Melbourne's GPO, a popular, old structure. See if it's possible to tour the interior or simply appreciate it from outside. Travel by rail to Melbourne Central Station, the closest station. It's just 0.1 kilometres away from Melbourne Central. Active sightseers might like to wander 0.9 kilometres from Flinders Street Railway Station, another close terminal, instead. How Much is a Hotel Room in Melbourne Central? Hotels in Melbourne Central start at AU$94 per night. Prices and availability subject to change. Additional terms may apply.